Weird map error, Mudlet won't download the map. Ok, so here's the story. I open Mudlet, it says it loads successfully. Play Game -> Select Profile. Then this happens, so I'm hoping someone here has had this issue or understands what this even means...? [ OK ] - Lua module rex_pcre loaded. [ OK ] - Lua module zip loaded. [ OK ] - Lua module lfs loaded [ OK ] - Lua module sqlite3 loaded [ OK ] - Mudlet-lua API & Geyser Layout manager loaded. (mapper): Mudlet Mapper script for IREs (17.1.2) loaded! (homepage) [ INFO ] - Map download initiated, please wait... [ INFO ] - Auditing of a loaded/imported/downloaded map starting... [ OK ] - Auditing of map completed, in 0.000480576 seconds. 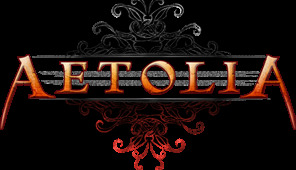 Enjoy your game... [ INFO ] - Looking up the IP address of server:aetolia.com:23 ... [ ERROR ] - Map download encountered an error: Error creating SSL context (). [ ALERT ] - Map download failed, error reported was: Error creating SSL context (). [ INFO ] - The IP address of aetolia.com has been found. It is: 67.202.114.5 [ INFO ] - Trying to connect to 67.202.114.5:23 ... [ INFO ] - A connection has been established successfully. Assuming you're on Windows! You're missing some .dll's that let Mudlet do its thing with SSH. Install it somewhere, then either let it put the .dlls in the system directory, or have it install them to /bin. If you do the latter, you'll need to drop (I -think-) just libssl-1_1.dll and libcrypto-1_1.dll into the Mudlet directory (implying that it is version 1.1.0 that you want). One of those two sets of .dlls will fix it!